It’s been a little while since we’ve had a Winter League report so let’s get caught up on what our Blue Jays farmhands are getting themselves up to. We’ve got four Jays down under in the Australian Baseball League playing for the Canberra Cavalry who won the Asia Series in the first year that the ABL champion participated. Hero of that series, catcher Jack Murphy continues to show that the southern hemisphere agrees with him, hitting .294/.357/.373 with four doubles, five walks and seven strikeouts in 51 regular season ABL at bats. Second baseman Jon Berti, who played in Dunedin this year and led the Florida State League in stolen bases has been playing very well for Canberra, with a .317/.431/.510 slash line. Berti is showing much more power than he did in Florida with two doubles, two triples and a home run in addition to eight walks and only four strikeouts in 49 at bats. Berti has also stolen eight bases in ten tries. Outfielder Mike Crouse, Berti’s teammate in Dunedin, has had a rougher go, hitting .261/.321/.283. With little power (just one double), Crouse hasn’t been much of a factor this season. He has walked five times and struck out 11 times (not a horrible ratio) in 46 at bats with five stolen bases. Shortstop Shane Opitz, who also spent most of the season in Dunedin, is not playing particularly well in Australia. In 44 at bats, he’s hitting .227/.244/.273 with two doubles, one walk, one stolen base and nine strikeouts. A little closer to home, in the Dominican Winter League, reliever Tony Davis has pitched in seven games but has only amassed two and a third innings without giving up a run. He’s given up one hit and has walked two but hasn’t struck out anyone. Reliever Juan Perez (who was on the big club last season until an injury shut him down) has given up four runs in two and two-thirds innings on four hits and four walks with just one strikeout. Newly signed to a minor league contract, Jonathan Diaz is having a solid Dominican campaign with a .293/.458/.374 slash line in 99 at bats for Gigantes del Cibao. He has five doubles and a home run and has an excellent walk to strikeout ratio with 23 walks and 19 strikeouts. Also played for Gigantes is Moises Sierra who is probably showing that he doesn’t need to be in the minors any longer. Hitting .330/.418/.484, Sierra has two doubles, four home runs, 12 walks and 23 strikeouts in 91 at bats and is third on the team in batting average (although he has more than double the at bats of either of two players in front of him). On Leones del Escogido, a two Blue Jays pitchers are getting the job done. Sean Nolin hasn’t pitched since November 20 and in 26 2/3 innings, has a 3.38 ERA, 25 hits and 10 walks with 24 strikeouts. It’s unknown if Nolin has come back to the US for good, but he’s been tweeting from his home in Long Island during the Thanksgiving weekend. His teammate Mickey Storey has a couple of more recent appearances (most recent is November 24) with the Leones and he continues to dominate with just one run allowed in 14 innings. He’s given up just eight hits and three walks while striking out 16. 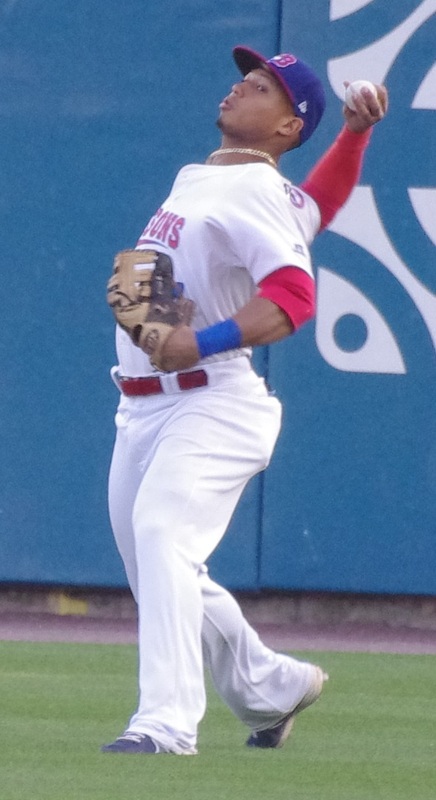 The third Blue Jays player on Escodigo is right fielder Carlos Ramirez who played in Lansing last year. Ramirez is probably a kind of taxi-squad player and who has only had one hit in four at bats over three games. 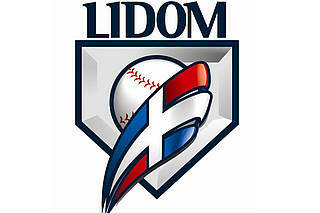 On the Licey Tigers, Ramon Ortiz has thrown eight shutout innings with only two hits and three walks against while striking out four. Esmil Rogers is scheduled to join Licey but hasn’t pitched yet. In the Mexican League, “Mighty Mouse” Jorge Flores is 0/11 with a walk. Over in Puerto Rico, Arik Sikula, who ended the season as the closer in Lansing last year, has been dominant with just one run against in nine and a third innings. He’s given up just seven hits and two walks with eight strikeouts. Shortstop Dickie Thon is hitless in six at bats and Efrain Nieves has a 5.02 ERA through 14 1/3 innings with 14 hits against, nine walks and 16 strikeouts. In the Venezuelan League, 18-year-old Jonathan Torres is struggling with his control but isn’t pitching badly against much older competition. Torres, who will likely come over to the US to pitch in the Gulf Coast League next year, has thrown eight and two-thirds innings in Venezuela and has given up five hits and seven walks with three strikeouts and has a 2.08 ERA. 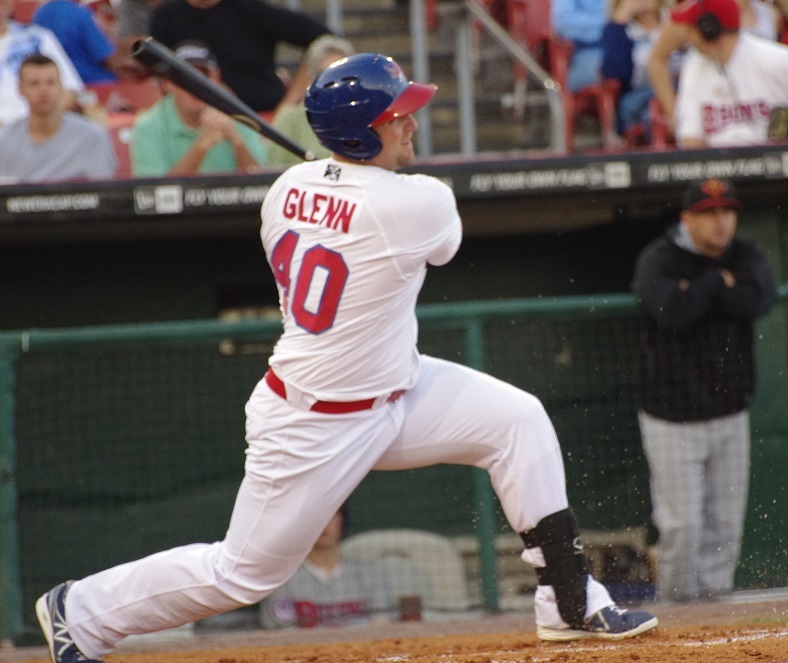 Finally, Brad Glenn, playing for Tiburones de la Guaira, is three for 20 and hasn’t played since November 15. Both Kevin Pillar and Anthony Gose are reported to be going south for winter ball but neither is listed on a team roster and probably wont go until after the US Thanksgiving weekend.